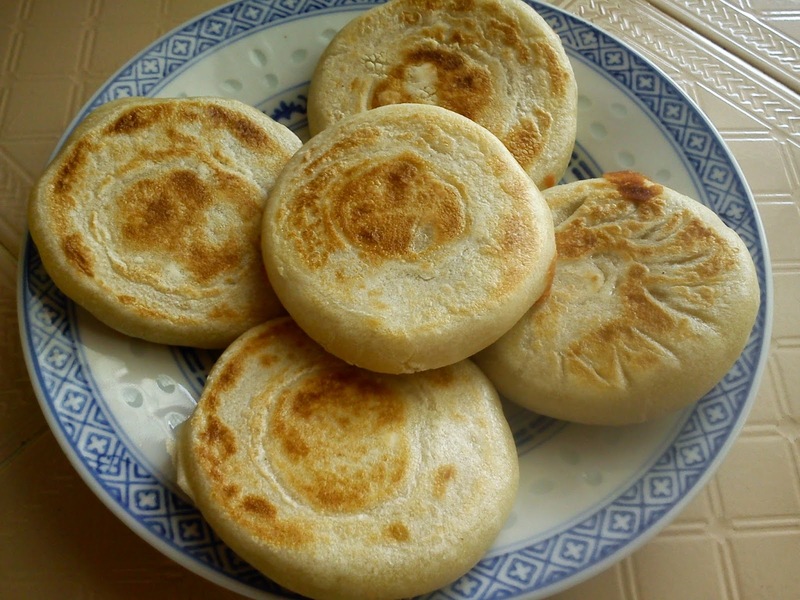 This pan fried pancake is made with the same dough as Scallion Pancake [ 葱油饼] [click here]. The difference is in the filling. 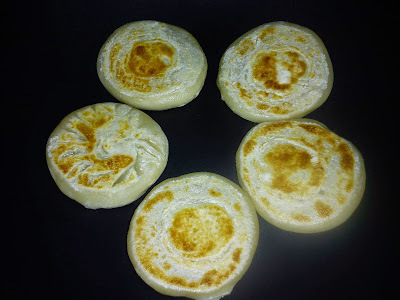 For this one, it has a sweet filling which can be red bean paste, lotus seed paste, yam paste, green pea paste etc. 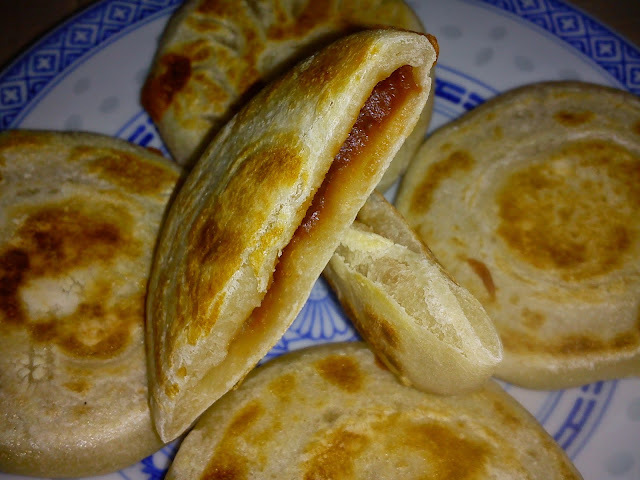 Here, I used the lotus longan sweet paste which I bought from the bakery store. You can use home-made sweet of your choice. These pancakes are soft and chewy. Best to eat them warm. Nice to nib at with a cup of fresh brewed Chinese tea. Put flour in a mixing bowl, add hot boiling water and quickly stir with a pair of chopsticks to mix until flour looks like coarse bread crumbs. Fix mixer with a dough hook, add in cold water. Knead dough until smooth, then add in a little oil. Continue to knead until soft , smooth and shining. Sprinkle dough with some flour and shape into a ball, cover to rest for at least 30 minutes. Knead rested dough to release air bubbles. Divide into 24 equal portions. 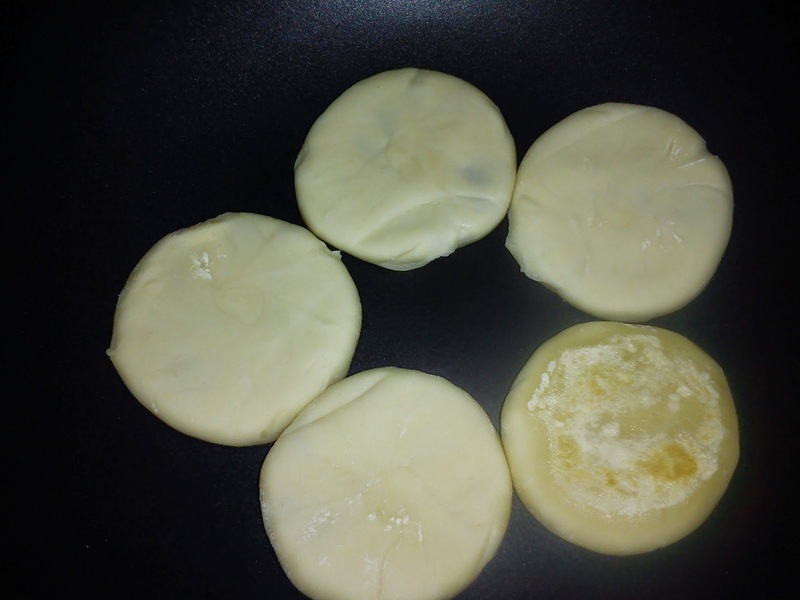 Roll each portion into a ball, flatten into a circular disc. 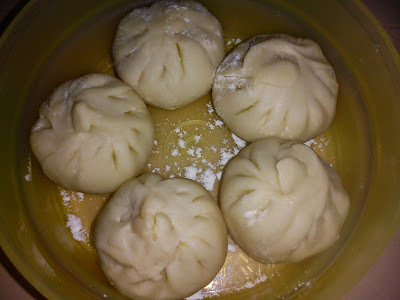 Wrap filling and shape into round like a pau. Flatten slightly. Wipe a non-stick pan with some oil. Flatten the prepared pancake and fry it till crispy and golden brown on one side, flip over to fry the other side until crispy. Remove and serve pancake as a whole piece or cut into half. Serve immediately. Yes, pancake is welcome ! Thank you for sharing such yummylicious and flavourful pancake with us. 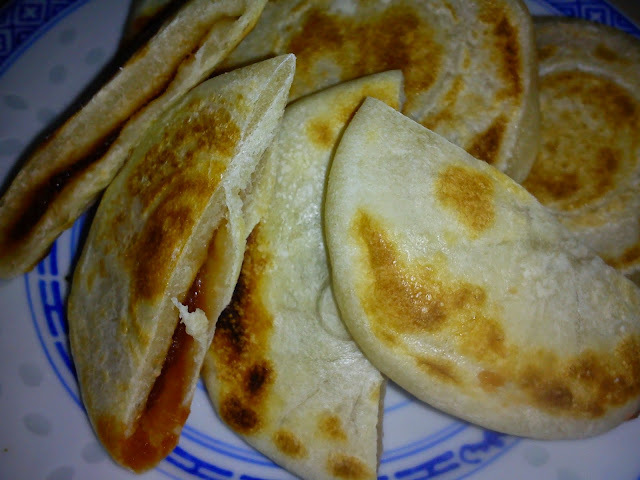 Hi Kimmy,this pan fry pancake look so yummy,could I have some for my tea tIme snack? Hi Aunty Young, thanks. I used the dough skin to make a sweet and a savoury pancake. Both are delicious. Hi Fion, no problem at all. Would love to share some with you. The more the merrier. Good with a cup of Chinese tea. 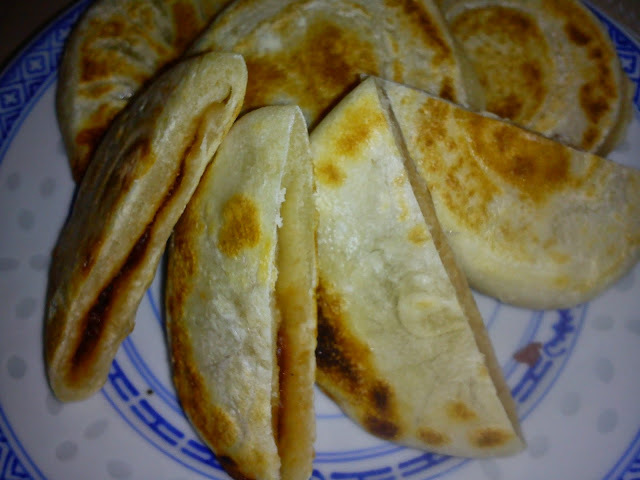 Hi Phong Hong, this is sort of a Chinese kind of pastry which has very little or no fats at all.